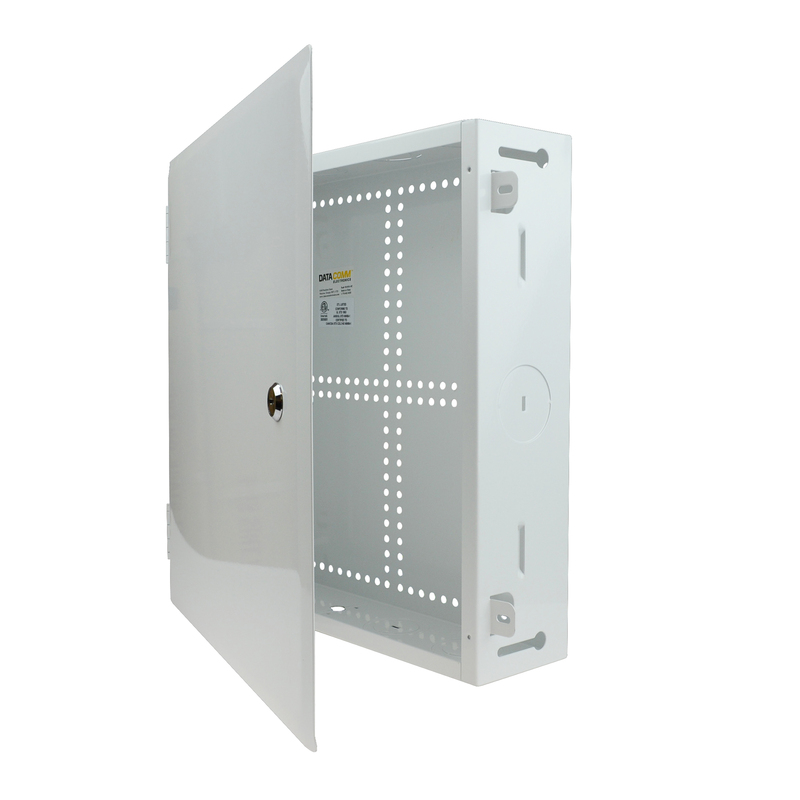 This 14-inch Flush Mount Enclosure comes with a Hinged Door. - Includes multiple knockouts for conduit up to 2 inch diameter. - Includes a knockout for a single gang J-Box power module. - Mounting slots simplify adjustment for different depths of sheetrock. - Integrated cable tie anchors to assist in clean cable management inside the enclosure. - Surface or flush mountable. - Screw Cover overlaps the enclosure frame to hide uneven drywall edges. - Cardboard insert included for prevention of drywall debris or paint over-spray. - Standard 1 x 6-inch hole pattern accepts most brands of modules. - Enclosure not intended to be mounted in firewall applications.